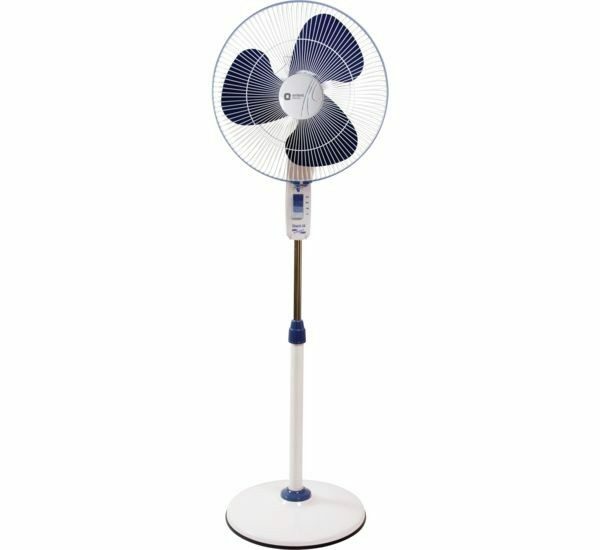 Add elegance and cooling comfort to your space at the same time with Orient Electric Stand 34 high velocity fan, which offers the just right combination of form and functionality. The elegant and ergonomically placed switch panel adds to the overall aesthetics. The major features of this fan include all metal construction, aerodynamic designed blades, powder coated guard and polymer ring for extra protection, 90-degree oscillation and motor protection through thermal overload protection device.